This Fantasy for clarinet and string quartet was written in 1921, only three years before Stanford's death in London in 1924. He was born in Dublin in 1852, and his musical career started while he was still an undergraduate at Cambridge University, when he was appointed organist at Trinity College and conductor of the Cambridge University Musical Society. In 1882, aged 30, he was one of the founding professors of the Royal College of Music, where he taught composition for the rest of his life, and where his pupils included rising composers whose fame went on to surpass his own, such as Gustav Holst and Ralph Vaughan Williams. Four years later he was also appointed Professor of Music at Cambridge University. 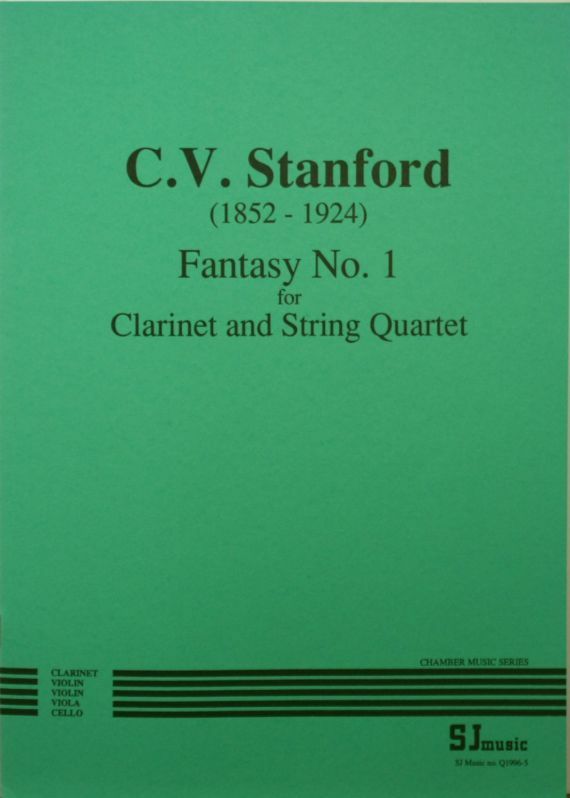 Stanford’s second Fantasy (Q1996-7) and fifth string quartet (Q1998-1) are also published by SJ Music.